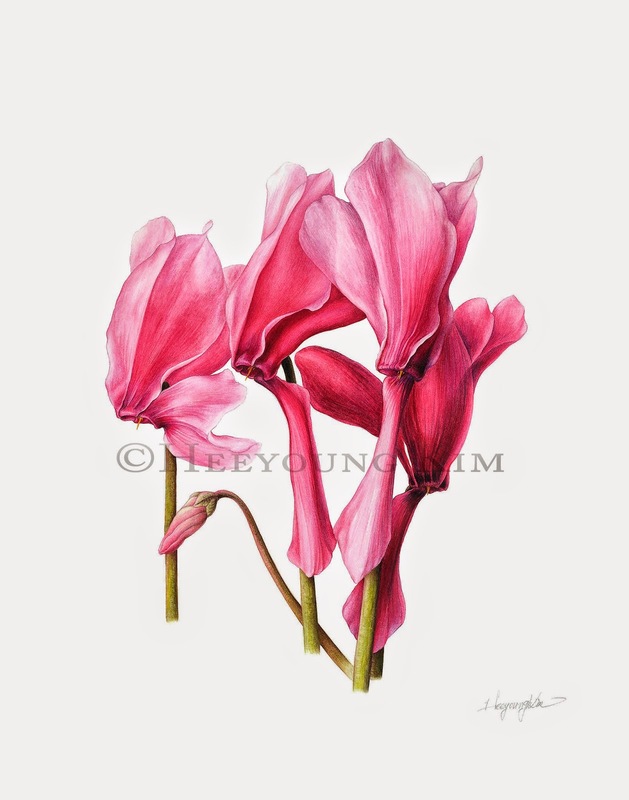 Cyclamen is one of my favorite flowers, even though it is not native in Midwest. Its beauty is quite astonishing. No wonder people steal them whenever they see them in wild. As a result, they are mostly endangered in their natural habitat. Because of its popularity as a house plant, there are many varieties of hybrids available worldwide. In my first year of botanical art study, I loved to painted them.